I expected to like this book a lot. I love ancient stories, I love Greek and Roman mythology, and I love The Iliad. Plus, this book has crazy good reviews on goodreads–everyone loves this book, apparently…except me. During the book I asked myself why I was still reading it, because I really didn’t like it from start to finish, and the answer I decided on was there there are some books that keep you reading because they are so good you cannot stop, and there are some books you keep reading because you want to see what happens in the end, despite it boring you to sleep (me, quite literally every night). I did want to see how the end was dealt with, and I wanted to see if it got better, because again, everyone loves this book. My main issue isn’t that the book strays a bit from The Iliad, because every retelling does that, and if it didn’t there really wouldn’t be any point in doing a retelling, but the main issue is it ruined every single character in Greek mythology for me…especially Hector. I thought Achilles was made weak, Patroclus was made annoying, Hector was made cruel, Odysseus was made haughty, and Briseis made unimportant. Now, this may not have been the intention, nor may it be how others read the characters, but this is how they read to me, and it is not how I found the characters to be in The Iliad. Characters aside, I thought the plot was interesting, but the length of the book, or perhaps the speed of the timeline, made it so boring for me. I thought the boys’ childhood was at least 4 chapters to long, the time when Achilles is avoiding the war was too long, and the time on the Trojan beach truly felt like I was reading 9 whole years of war…which is unnecessary. I feel bad completely knocking this book that everyone enjoyed, but I don’t really have anything good to say about it. Yes, there were some good sections, but I had such a disconnect with the characters that the few sections I enjoyed were not enough to make up for the rest. 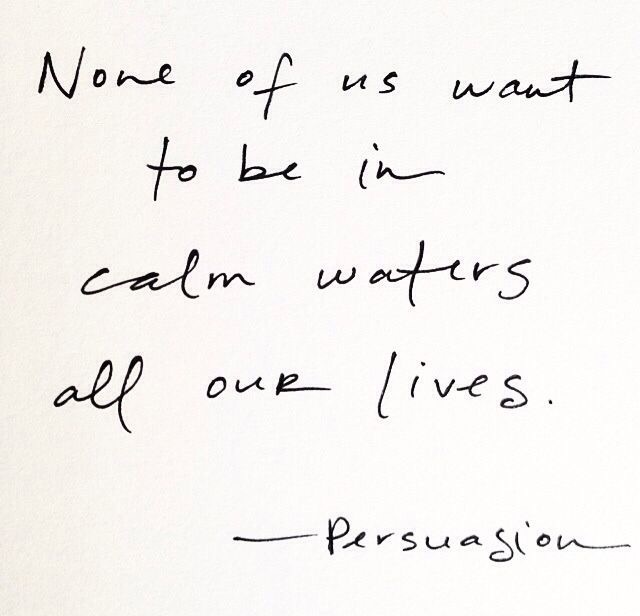 After reading Love & Friendship and Lady Susan by Jane Austen, I was inspired to dive into some of her quotes, and I’d love to share with you a few of them that speak right to my soul! At last, I have found my favorite Jane Austen stories. Ok, I wasn’t really looking very hard, but I found them nonetheless! I’m not a huge Jane Austen fan, but I also have only read Pride and Prejudice before reading these two beauties. P&P didn’t suite me, and so I kinda stayed away from Austen, assuming (probably incorrectly) that most of her novels are similar. I did resolve to read some of them, and they are high on my TBR, but somehow I keep looking over them to the next book…oops… But now, after reading Love and Friendship and Lady Susan, I am more inclined to pick up some Austen books because these two short works are so fun. Love and Friendship is a collection of letters written by Jane Austen before the age of 16 (allegedly) for the entertainment of her family. The story unfolds in an exchange of letters and, as was Austen’s intent, seems to poke fun at the traditional romance novel. This book is hilarious. The women highlighted are absolutely ridiculous, and they are constantly scheming, dramatizing everything, and fainting at every possible moment. Austen’s humor shines much stronger than in her longer novels, because she really goes to lengths to exaggerate every detail of these woman’s lives. If they had a bad day, she makes it the utmost worst day anyone had ever experienced. If someone insulted them, she made it an insult that had embarrassed them so greatly they were forced to faint on the spot…everything is the worst or best. This, of course, helped show Austen’s point that romantic novels are nothing more than dramatic women making things more dramatic. The quotes in this book are so so fantastic. For example, her is an excerpt from one of the letters. Upon having a shock, “Sophia shrieked and fainted on the ground – I screamed and instantly ran mad. We remained thus mutually deprived of our senses, some minutes, and on regaining them were deprived of them again. For an Hour and a Quarter did we continue in this unfortunate situation – Sophia fainting every moment and I running mad as often.” This, fainting and running mad, is quite a common trend in the book, and every time it happens it’s more comical then the rest. Um…what? I actually really like the name Bridget…ok, Austen. It’s comments like this that make the stories ridiculous and therefore hilarious. Austen is pointing out the flaws of romantic novels, and perhaps writing things like this was her inspiration to fix romance novels in the future. Without the knowledge that Austen wrote these letters in order to entertain her family and to make fun of romance knowledge, this story would seem annoying and extremely juvenile…it would almost be expected of a 14-year-old to write. 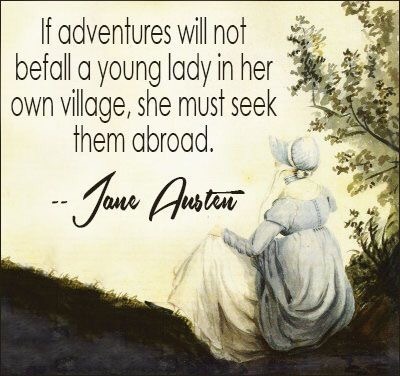 However, knowing that Austen was only 14 while writing them, and she did so in order to mock the common way women, love, and friendships are seen in books, makes you realize the true genius of the writing, and how advanced Austen was. I want to be Lady Susan. 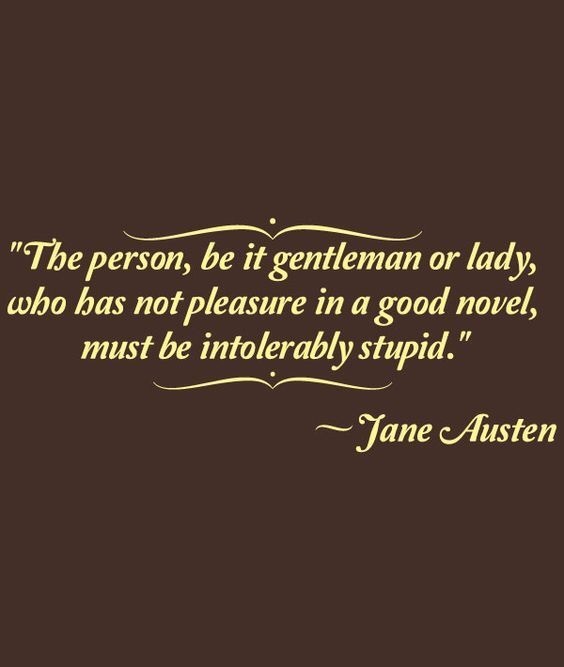 Ok, not really, because she is not a good person, but Austen makes her so deliciously bad, you just want to have her confidence and cunning nature…even though she really is bad. This book takes about 2 hours to read (maybe fewer), and it’s really worth the sit down. Plus after you can watch the movie adaptation on Netflix, which is confusingly called Love & Friendship. Why they decided to call the movie the same title as a different Austen book, I do not know, but I do know that the movie is very well made, and it follows the book decently well. Ok, so Lady Susan is another book that is told through a series of letters. These letters are much more sophisticated than those written in Love and Friendship, and they tell of a much more sophisticated plot. Lady Susan, our anti-heroine, is a widow who basically goes around flirting with any man she can find, and making the lives of everyone around her miserable. She is a terrible mother, a two-faced friend, and believes toying with the emotions of young men a suitable and enjoyable way to spend the day (ok, she may have a point with that last one..). I don’t want to give the main plot away, because this one really should be read by all Austen fans…it’s so entertaining. The great thing is that with every letter denouncing Lady Susan’s actions, you have two letters from her praising her own actions, and even though you know she is crazy, you find yourself believing her and pitying her, even though she deserves no such pity. Both these stories are just fantastic and so much fun to read. I won’t go on, because I’ll could just ramble on and on about how funny they are, but seriously, if you are a Jane Austen fan or a fan of classic romantic novels, give these two a read; I promise you will be entertained!